The enrichment program includes five sessions of each class. Some classes have age or playing level restrictions. Siblings may register for appropriate classes and will be placed on a space available basis. If your first-choice enrichment course presents a scheduling conflict with your core curriculum, you will automatically be placed in your second choice. To allow time for daily practice time, please plan your enrichment class registration accordingly. 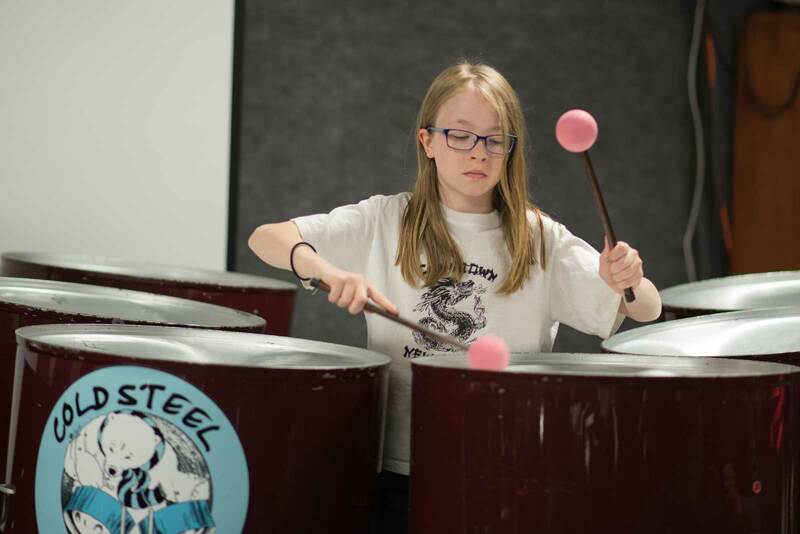 Students will be grouped into small ensembles according to reading and playing ability. Music will be distributed prior to institute so that students may prepare ahead of time. 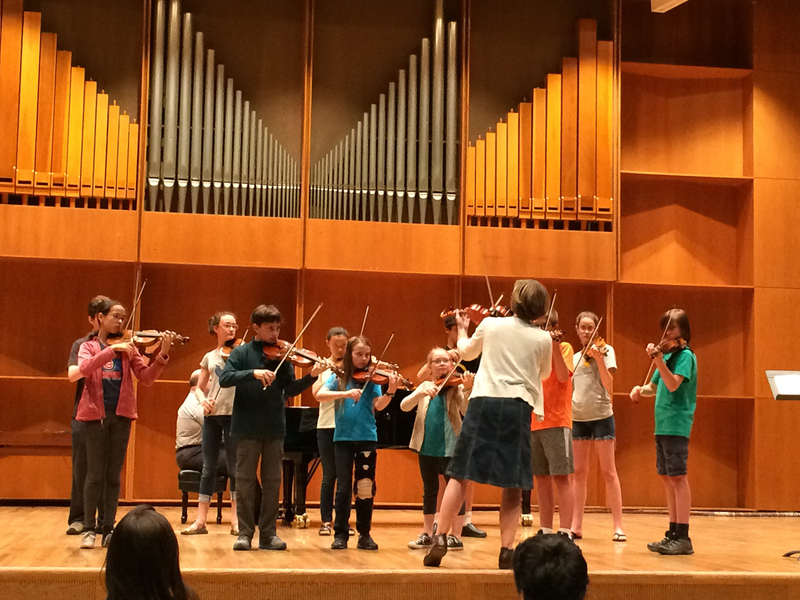 All violinists enrolled in chamber music must be able to play viola in an ensemble, if needed. 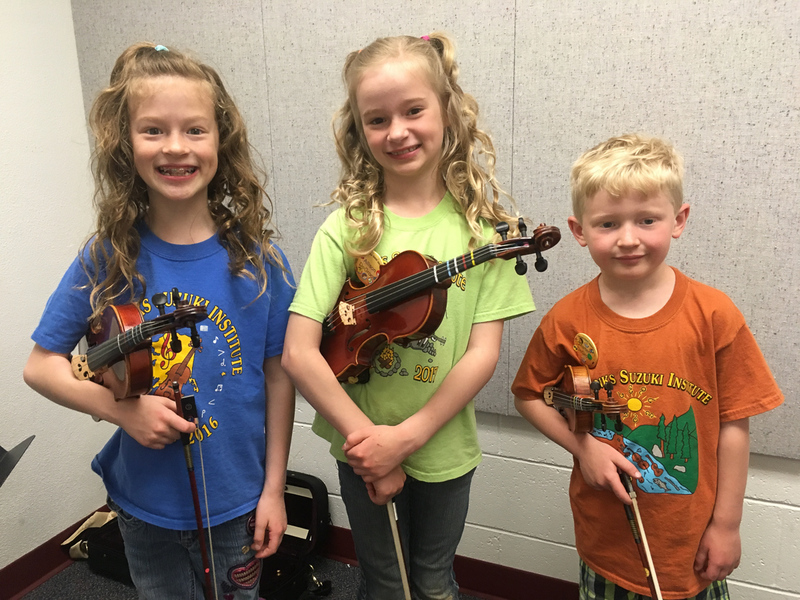 Course enrollment requirements: Violin students who do not yet read viola clef are required to take the Viola for Violinists class in order to enroll in chamber music. Minimum playing level for chamber music is Book 5 or comparable level. 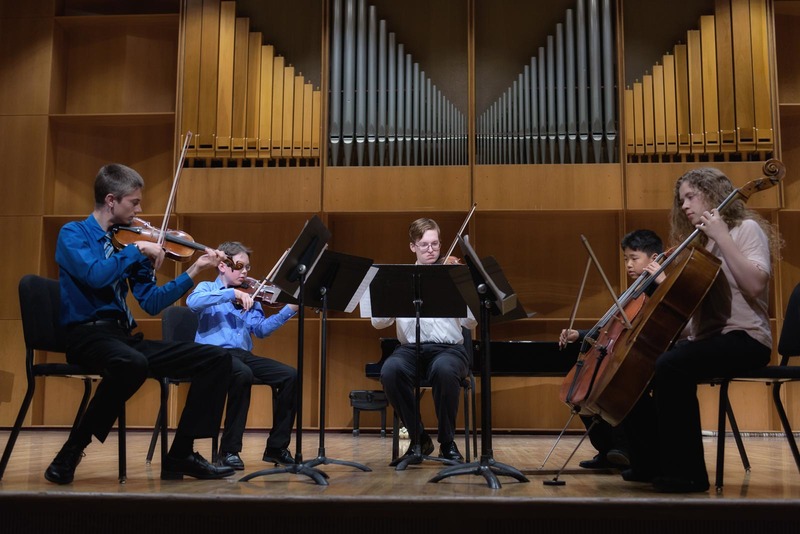 To be enrolled in Chamber Music you must complete the online registration for FSI on or before March 15. 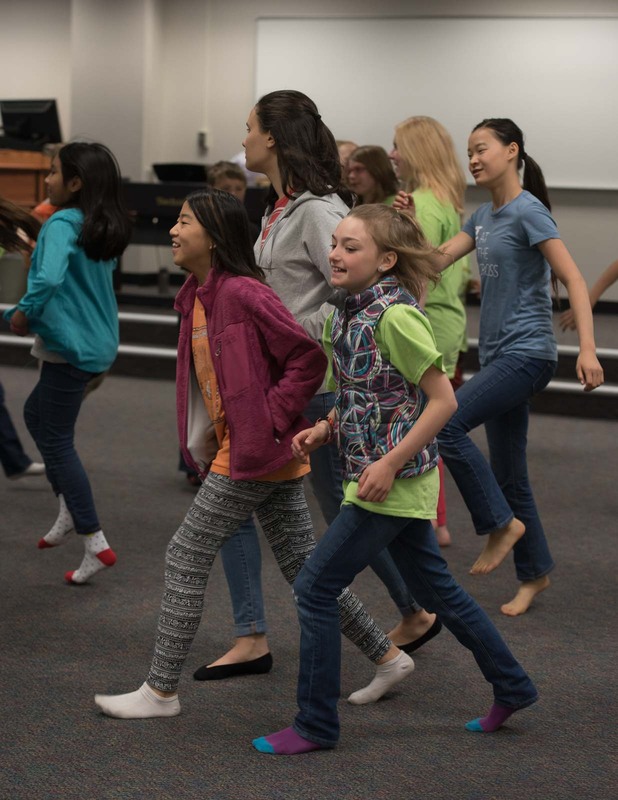 Dalcroze Eurhythmics, one of the most popular approaches to teaching the principles of music, uses body movement to expose the student to the whole spectrum of musical experience. The object of the classes is the coordination of the body in response to various musical problems. These stimulating game situations develop the complete concentration of the mind and body in relationship to music. 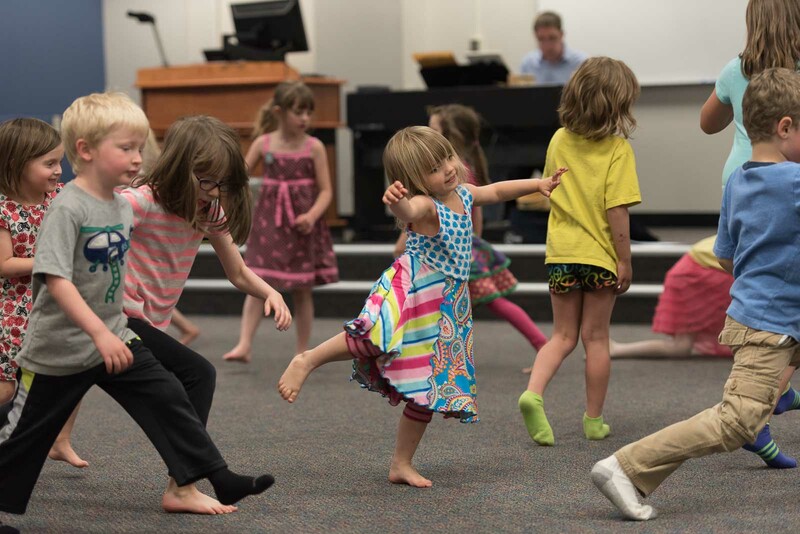 Dalcroze is part of each student’s core curriculum in the Student and Intermediate Programs. It may be taken as an elective by Advanced Program students. Course enrollment requirements: Students must be 4 years or older. For students of violin, viola, flute and cello. 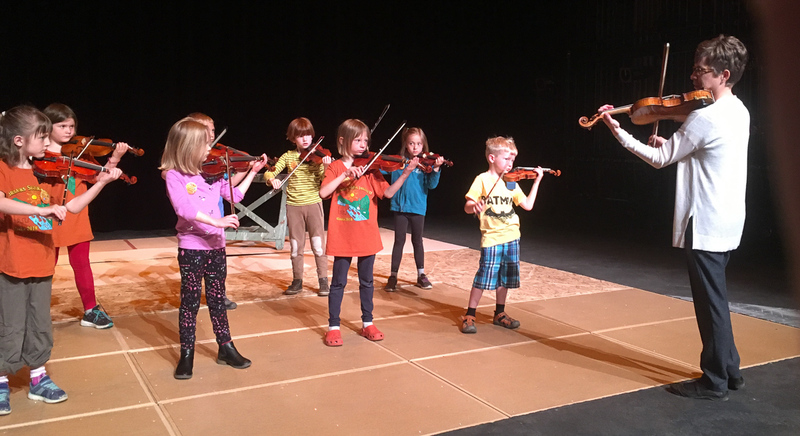 This class will introduce students to various fiddling styles, teaching the tunes by rote. 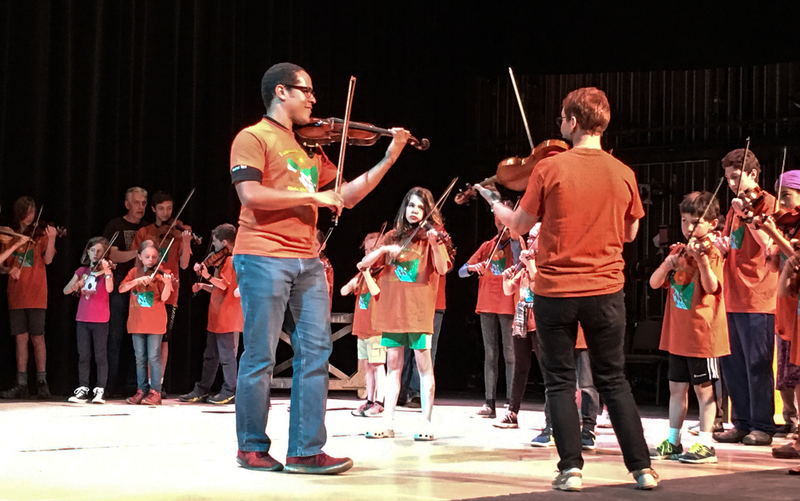 Course includes a mixture of Irish and old-time American Fiddle tunes and the specialized bowings that make fiddle music so much fun to play. Course enrollment requirements: Students must be in Book 2 and above. Travel the world through the exploration of rhythms and grooves from Ghana, Cuba, and Trinidad! We’ll play music with a variety of hand drums including the djembe, conga, and bongo. 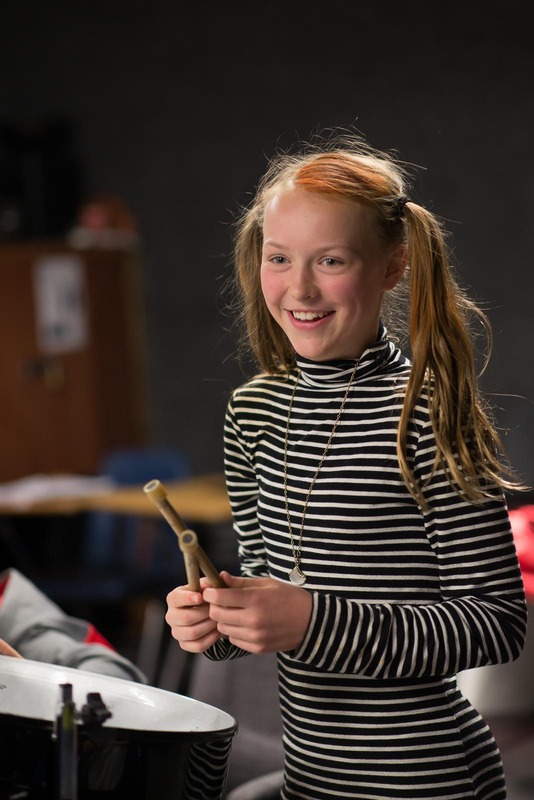 Learn dance grooves with multiple layers; develop your ear with call and response activities; cultivate your inner improviser and converse with your friends using rhythmic language. Course enrollment requirements: Students must be 10 years old or in Book 4 or above to join. For registered students whose parents will attend the Parent Lunch Talks. Come eat your lunch and do an art project with our adult artist/teacher. Course enrollment requirements: Students need to bring a lunch and a desire to participate in the art project of the day. Learn the basics of music note reading and rhythmic notation. What do all of those symbols mean and how do we play them together on our instruments? 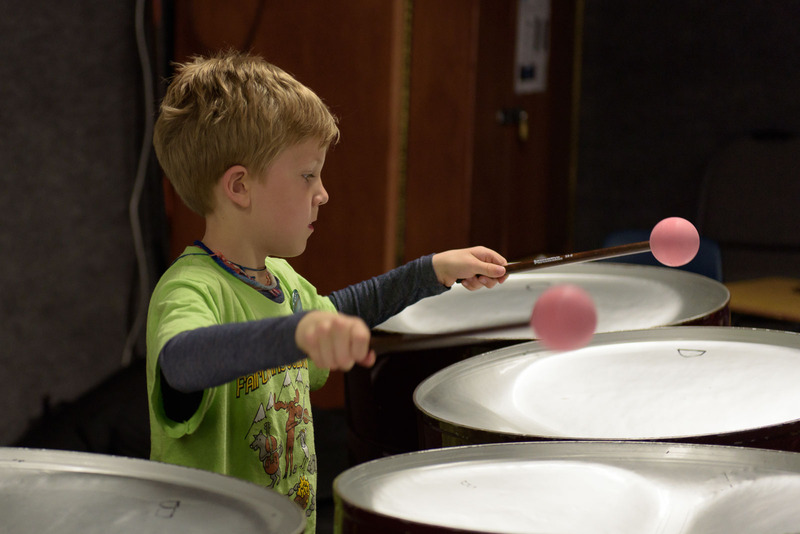 Early music readers can enroll to strengthen their skills and all instruments are welcome. Please consult with your private lesson teacher before signing up for this class. Course enrollment requirements: Students must be finished with first grade and playing in the latter half of Suzuki Book 1. 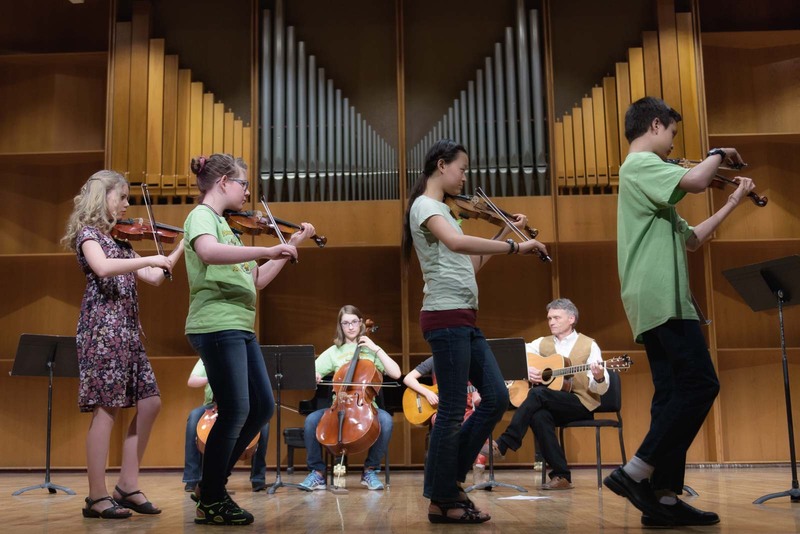 This class will be geared towards students with limited experience with the viola clef as well as students with more intermediate reading abilities. Violinists who would like to be more proficient with the viola are encouraged to take this course more than once. Violas will be available for sign-out at registration. Bring your own if you can! This is your chance to branch out and learn some viola skills. Course enrollment requirements: Students need to be in Book 4 and above. Note: The ability to read viola clef is a requirement for violinists enrolling in chamber music.